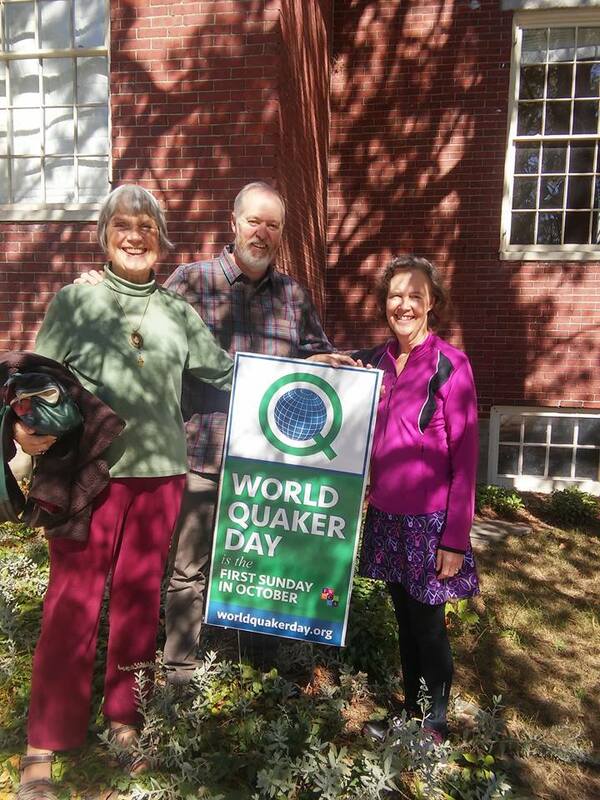 FWCC Americas Clerk Benigno Sánchez-Eppler abandoned his Monthly Meeting in Massachusetts to pull a World Quaker Day triple play. 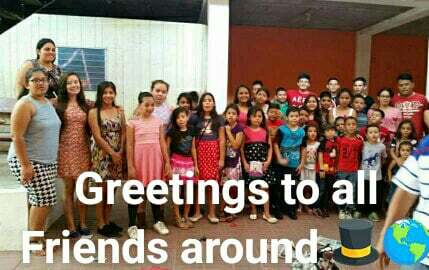 He picked up Digna and Santos Portillo in Secaucus, NJ, then dipped under the Lincoln tunnel and took them to worship at 15th Street Meeting, New York. 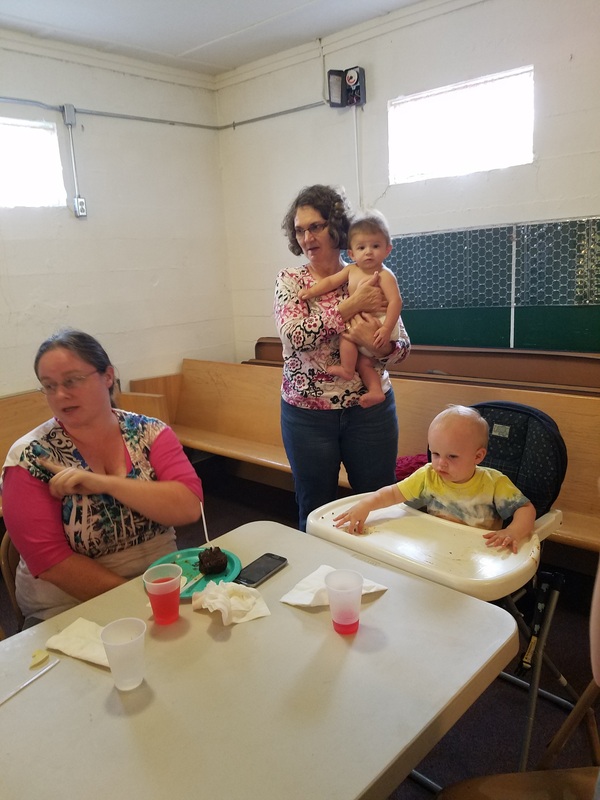 At 11 they went to unprogammed meeting in the same Meeting room that Chris Mohr and Robin Mohr got married, and the same room where a little and growing Jewish girl named Karen Eppler back then worshipped for a whole decade while going to school at Friends Seminary. And earlier at 9:30 they worshipped with the Manhattan Monthly Meeting In a group of 12 or so gathered for semi-programmed worship. 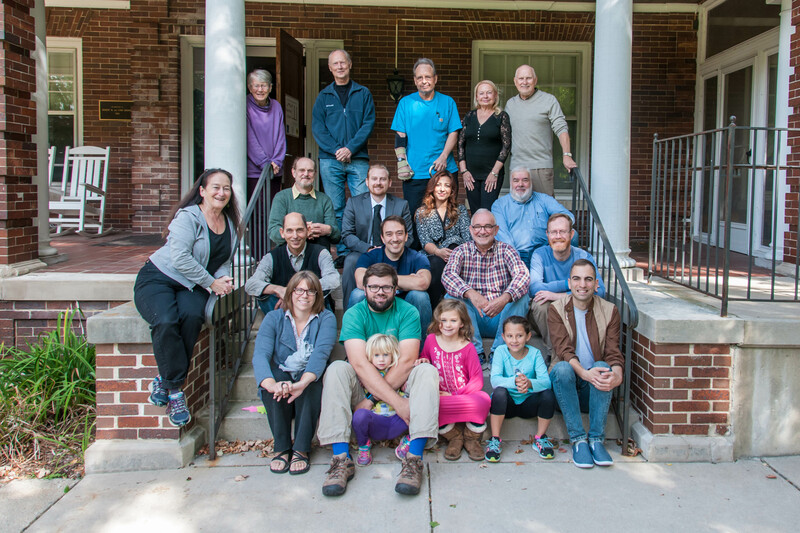 This was the most FWCC single monthly meeting gathering Benigno Sánchez-Eppler has ever experienced with the following all represented: Honduras YM, Jamaica YM, Rwanda YM, 3 differing Kenyan yearly meetings, New England YM, AND Ohio Yearly Meeting (Conservative). WOW. Of course Gloria Thompson, fearless area coordinator and member of the SoA Executive Committee was there making it all click. Thanks be to God. 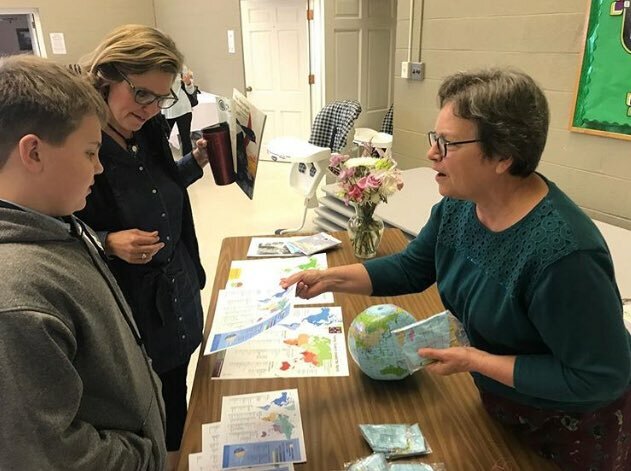 Friends in Berea, Kentucky, USA, celebrated World Quaker Day by singing songs loved by Quakers around the world. 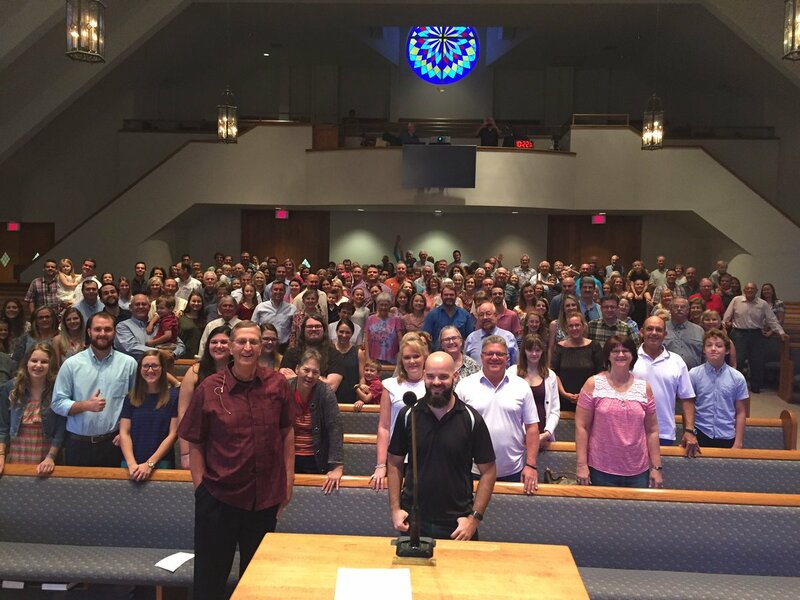 After a rich meeting for worship, we posed for this photo. Then we spent a couple of hours picking up trash along a two-mile section of highway near town. Finally, we celebrated our accomplishment with a potluck lunch at a Friend’s house. First Day School children in Bethesda on World Quaker Day. 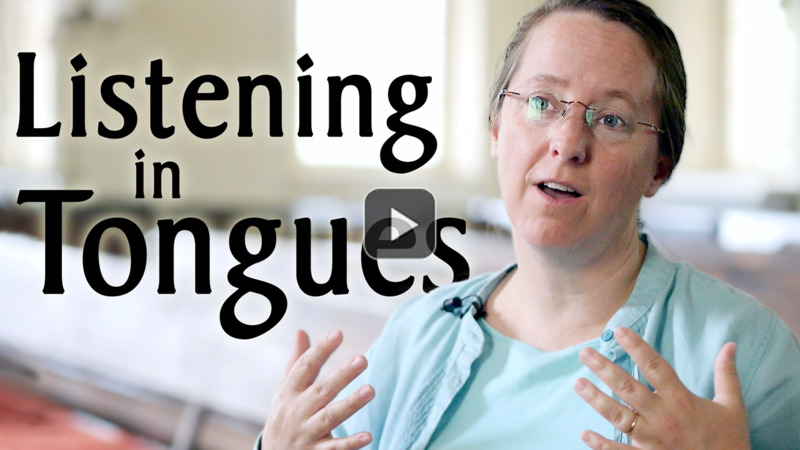 Beth Green-Nagle, from Tahlequah, Oklahoma, celebrated World Quaker Day speaking about her monthly meeting and her faith with Friends in Bolivia, thanks to Emma Condori. 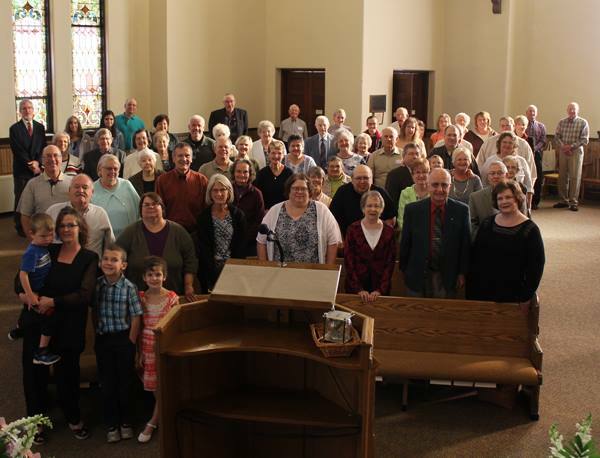 Clear Creek, Richmond First, and West Richmond Friends in Richmond, Indiana, all gathered for worship together this morning to celebrate World Quaker Day! 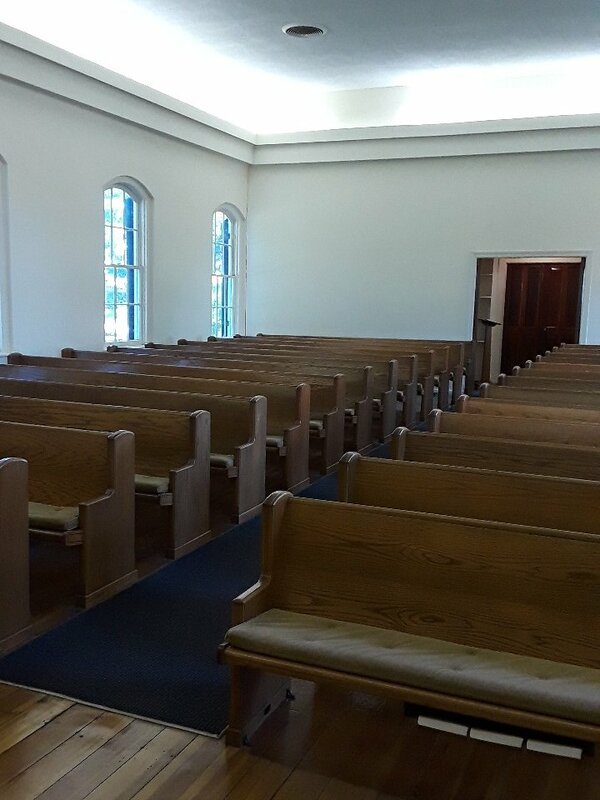 Friends ( Quakers ) have been worshipping in this space since 1875. 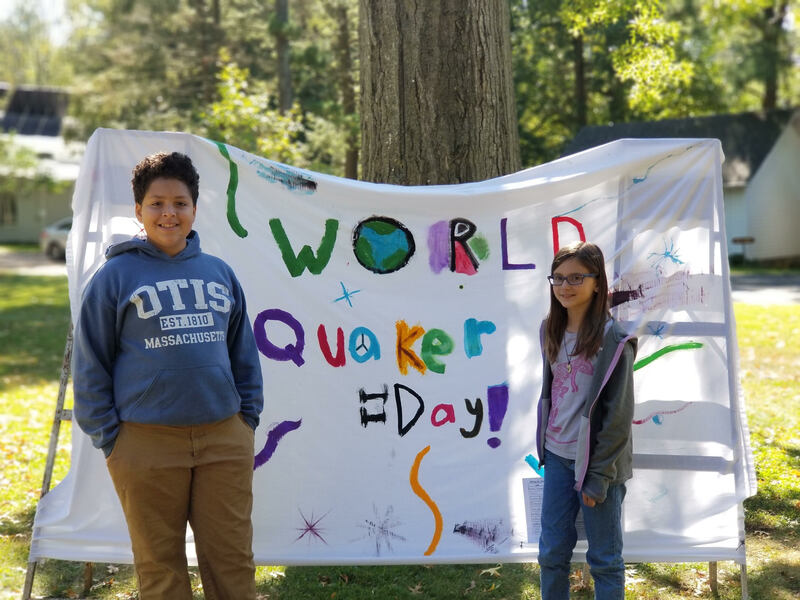 On World Quaker Day we celebrated this spiritual journey. 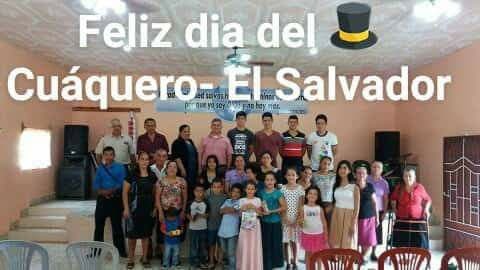 Greetings from a corner of El Salvador to all Friends around the world! 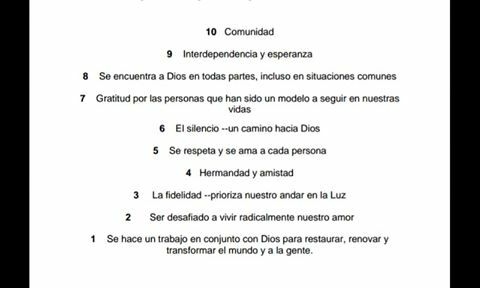 We believe that we work together with God to restore and renew the world and the people and respect and love each person (top 10 reasons I am a Quaker). 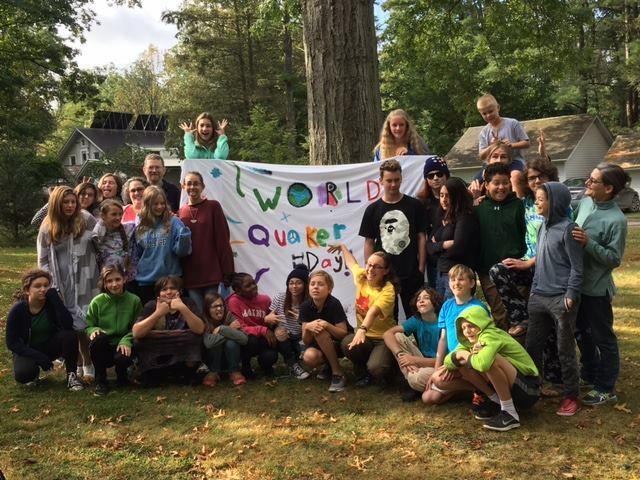 Happy World Quaker Day! 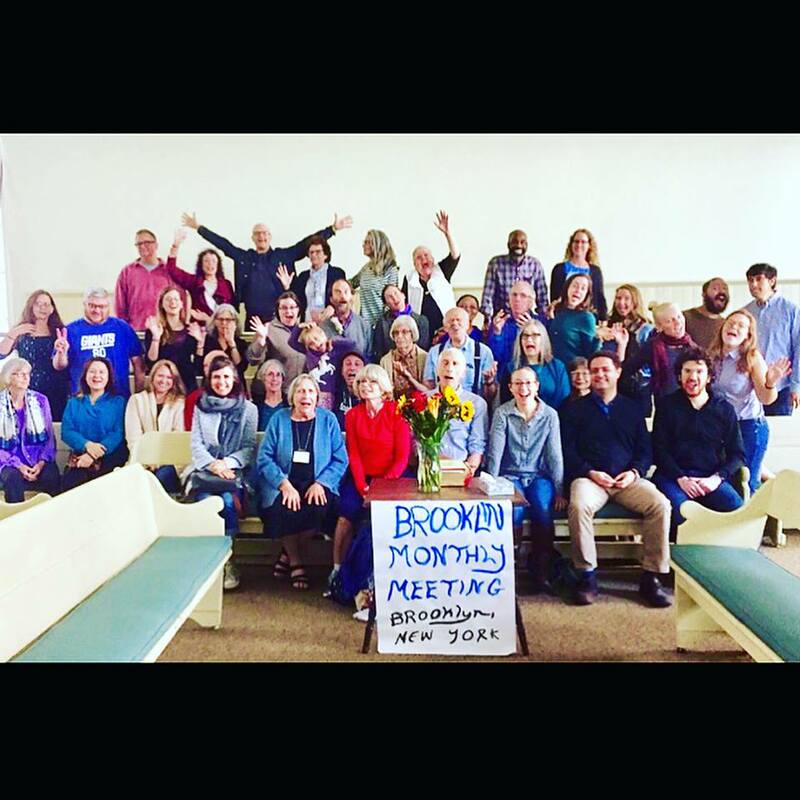 Today we celebrated and centered down on our call to be Quakers. Norma here talks about the worldwide family of Friends. 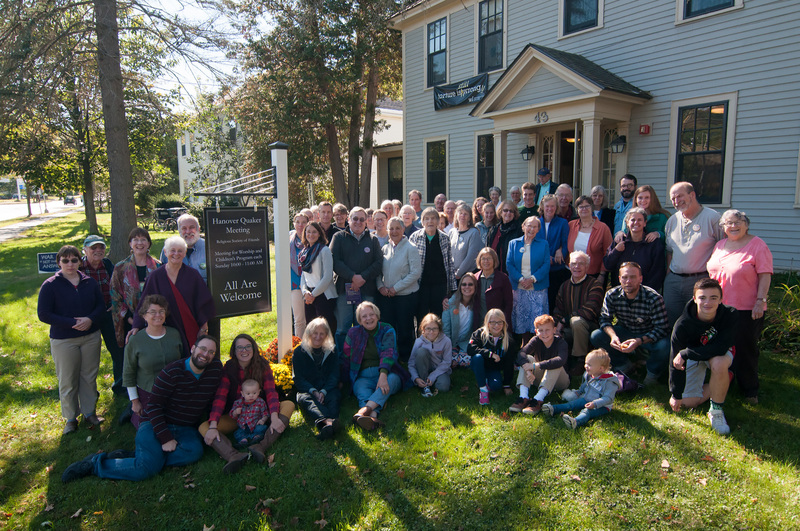 FGC is proud to help Friends, newcomers, and spiritual seekers experience the vitality and community of Quaker faith and practice every day through the Spiritual Deepening Program, the annual FGC Gathering, QuakerBooks, the Ministry on Racism Program, Faith & Play, and much, much more. 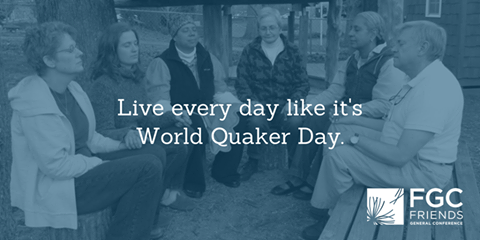 How does the Quaker way impact your life each day? 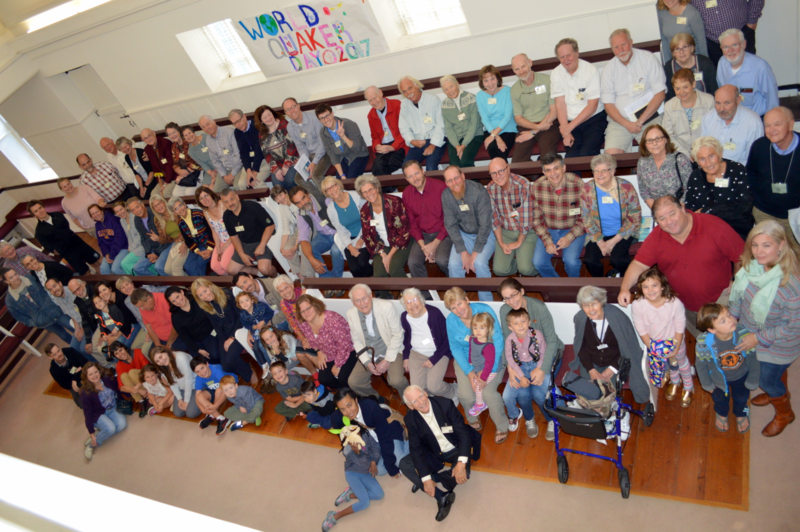 We did not manage a full meeting picture today, World Quaker Day – but it was a meeting of deep joy. 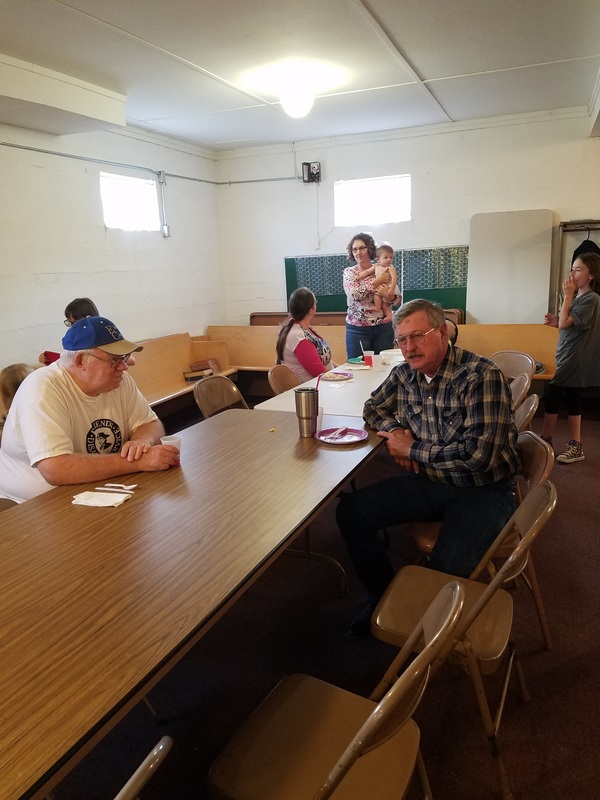 We held meeting for business, where we accepted with joy a request for membership letter, seasoned a minute regarding criminal justice, shared some new meeting-welcoming procedures, approved donations to Puerto Rico, and received an endorsed travel minute from two of our members. We also had visitors from Scotland! 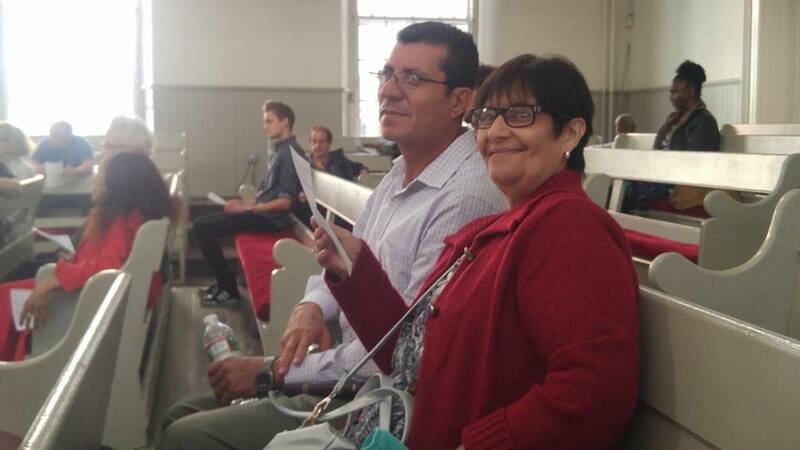 It was a blessed day at Fresh Pond Meeting, NEYM. 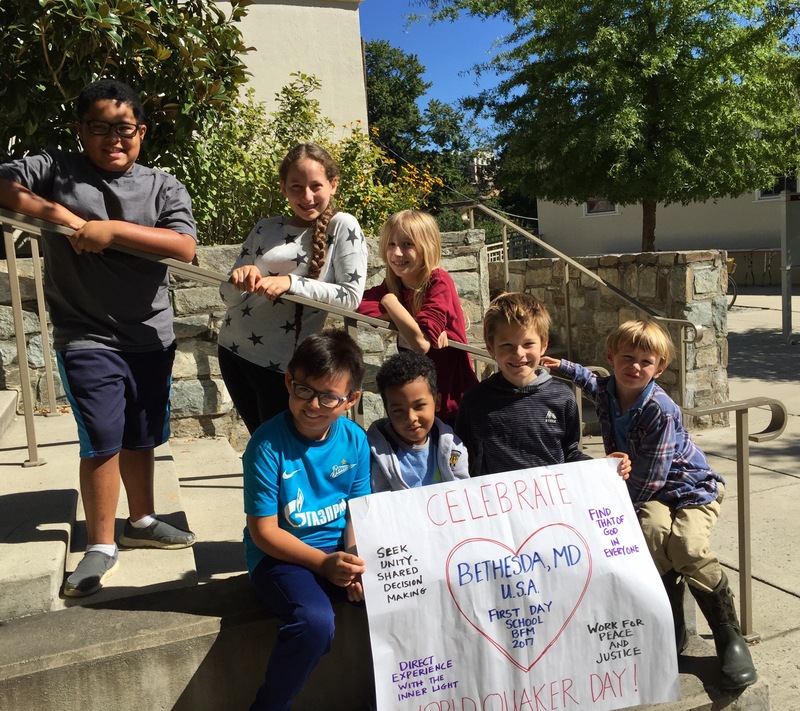 Friends School Atlanta celebrates World Quaker Day’s “Gathering in Worship Around the Globe,” a reminder to unite in thanksgiving. Here since 1895, we put the “Friends” in Friendswood. Grand Rapids Friends Meeting, Grand Rapids, Michigan. 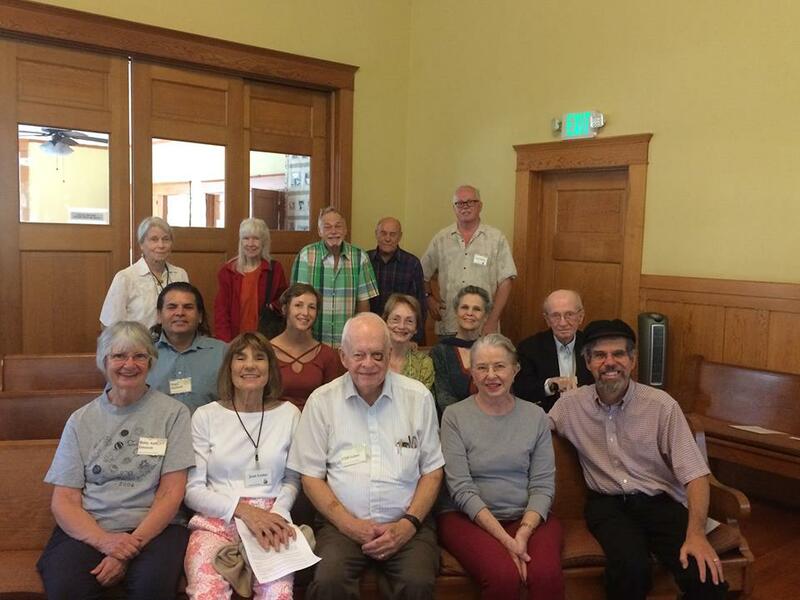 These are the people at Meeting for Worship and potluck on World Quaker Day. 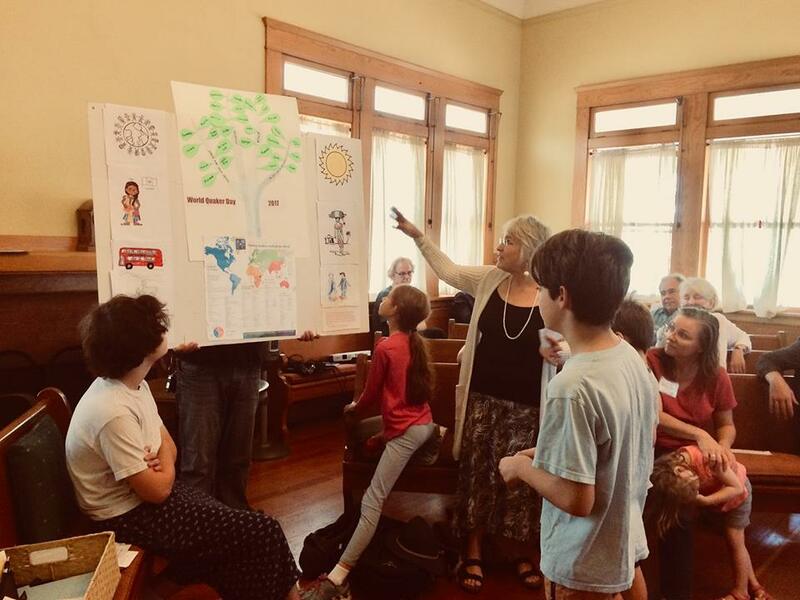 Green Country Friends Meeting (South Central Yearly Meeting, FGC) hosted an open house with introduction to Quakers and a period of Worship in the Manner of Friends at a local library for a combined celebration of our 30th anniversary as a monthly meeting and World Quaker Day. 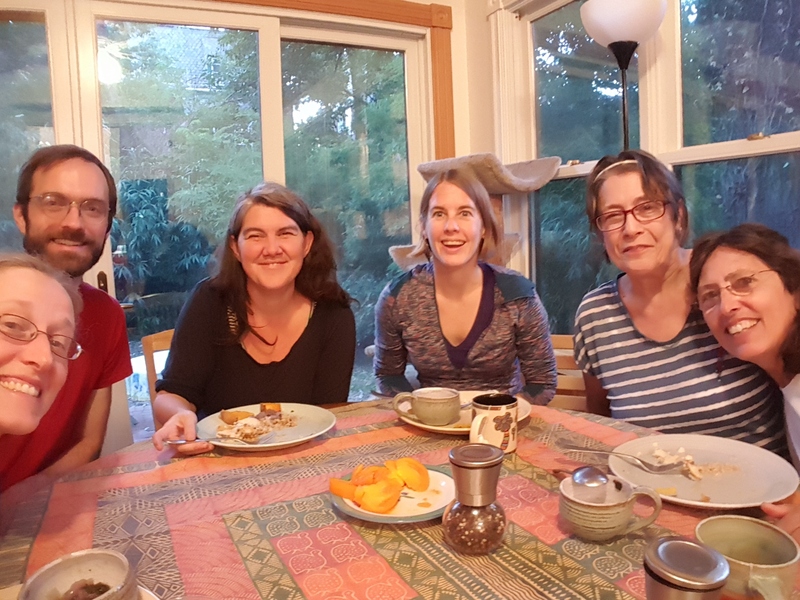 We were surprised and delighted when four Friends from Hominy Friends Meeting (Great Plains Yearly Meeting, FUM) arrived to join us! We displayed the map of meetings. 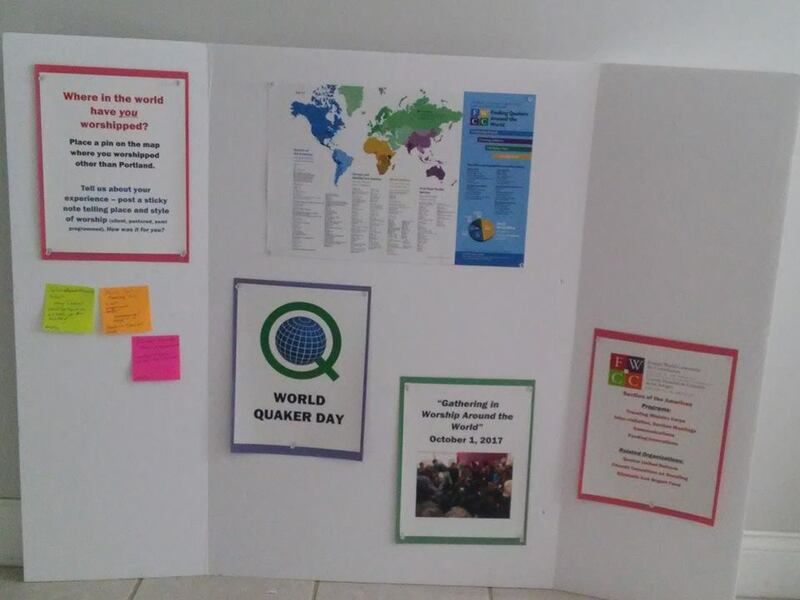 For World Quaker Day 2017, Green Street Monthly Meeting in Philadelphia had a display of where Quakers are in the world, thanks to Friends World Committee for Consultation Section of the Americas. Friends put pins in locations where they have worshiped with other Friends. We also had a paper where we could write “Me, too!” to show more than one of us had worshiped in a particular place. 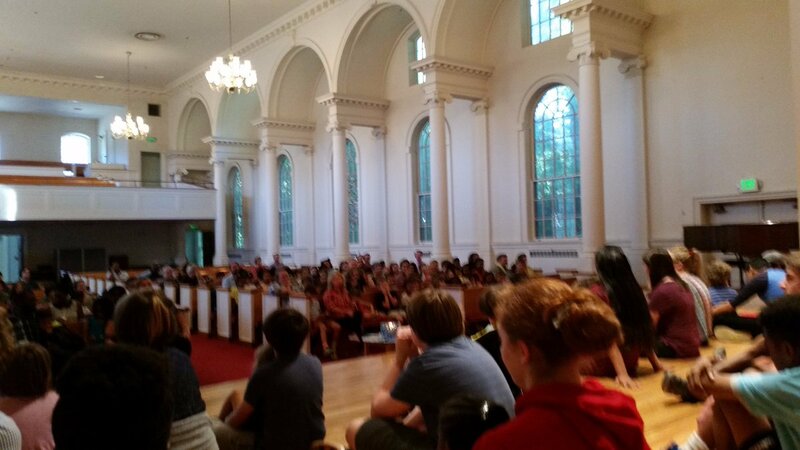 On October 1 we presented a program during Adult First Day School (following meeting for worship, at the beginning of which Judy read “As the sun rises in each area of the world…”). About 20 Friends attended Adult FDS. We had everyone sing the George Fox song and Friends Forever. We had those present guess the number of Friends in the U.S. and in the entire world, and we asked which country had the most Friends—everyone seemed to know the answer to that. 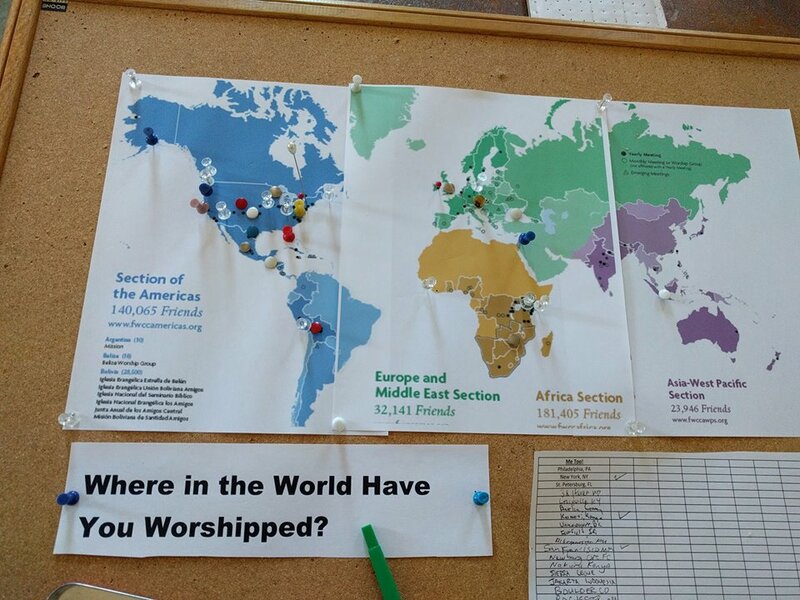 We showed the video “How Many Quakers are There in the World?” We posted the 2012 map and had people stick pins into locations where they had worshiped. A young Friend who had participated in our Wales Exchange program spoke about that, and answered questions. 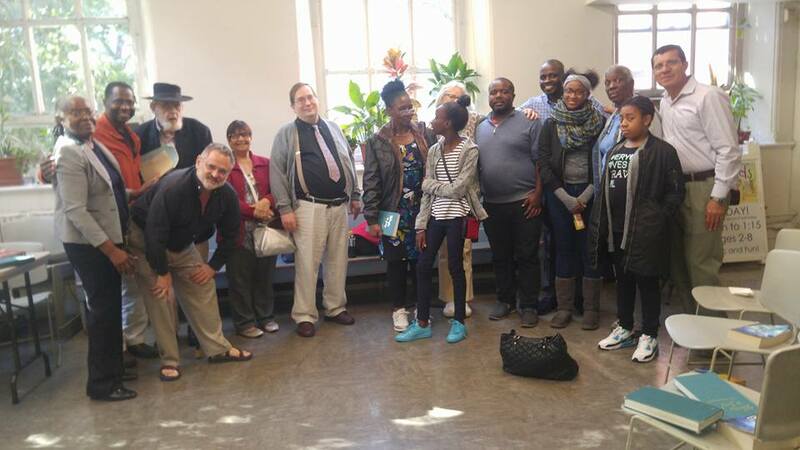 We considered two queries together, the one about intervisitation and the one about connection to the community around the meeting, and we read the account of what Hill House Meeting in Ghana did in 2015. As a finale, we played the video of “The Picnic of the World” (on youtube). 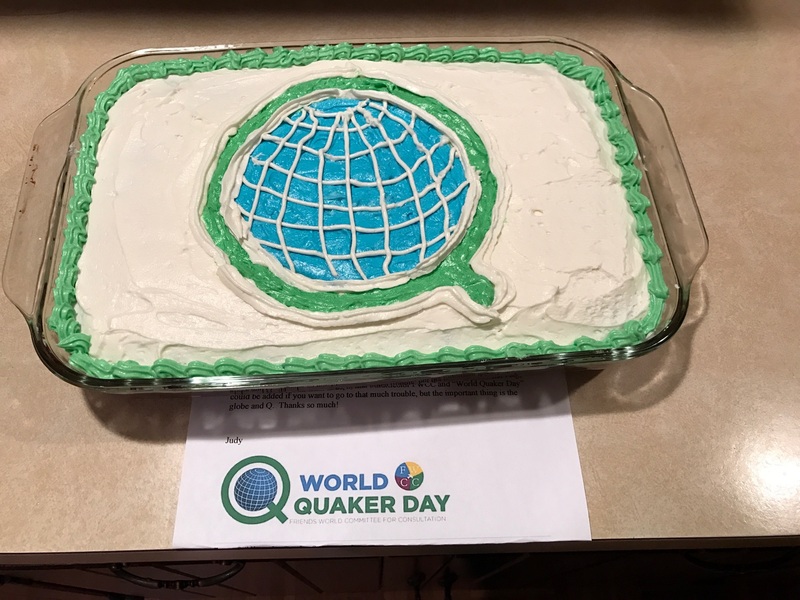 Fellowship hour followed, with a celebratory cake that had the WQD logo on it..
Heartland Friends Meeting in Wichita, Kansas, USA, observed World Quaker Day in several ways. 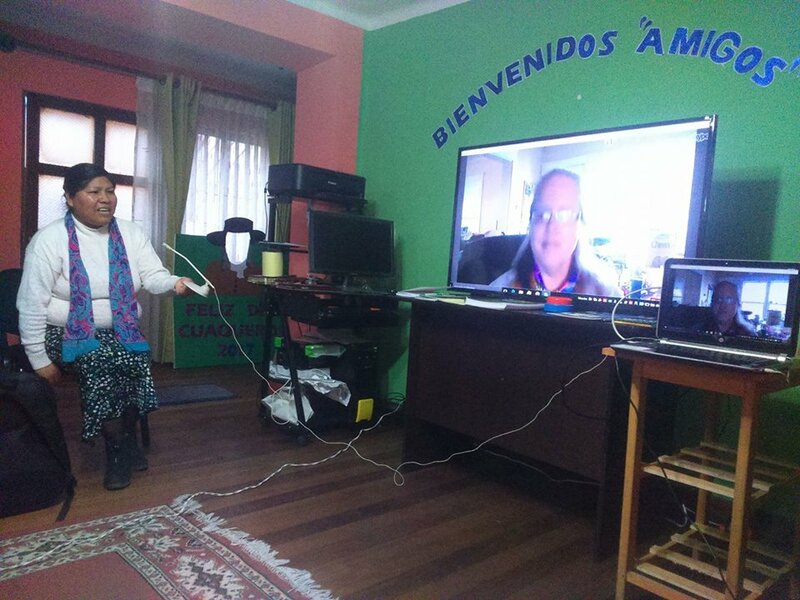 First, the adult education class watched the Quaker Speak video that explains where Quakers worship worldwide and spent the rest of that hour discussing how Friends got to many countries and why there can be considerable variation in our faith and practice among monthly meetings. During the children’s education time, a Faith and Play story about George Fox was used to talk about Quakers long ago and Quakers today. After worship Friends gathered in the outdoor stone circle for a picture, then adjourned for a good and simple lunch. 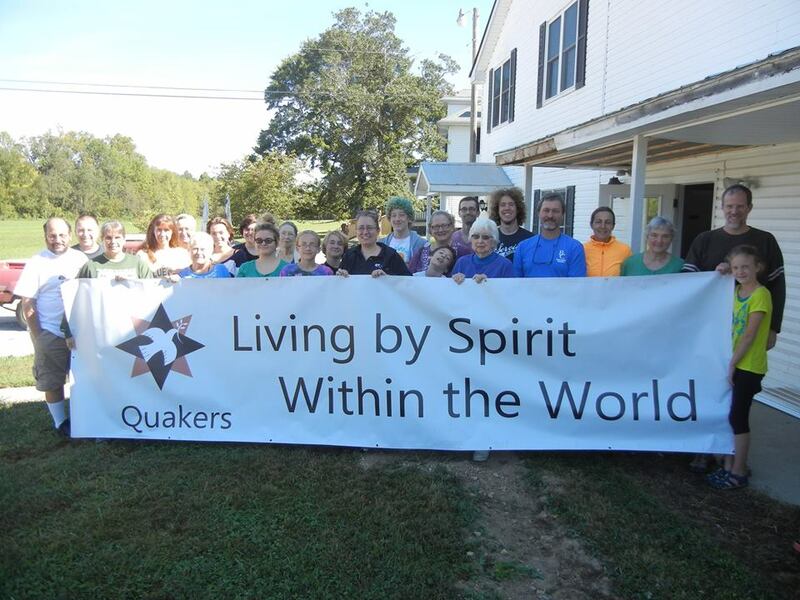 We are glad to be part of the worldwide Quaker spiritual fellowship! 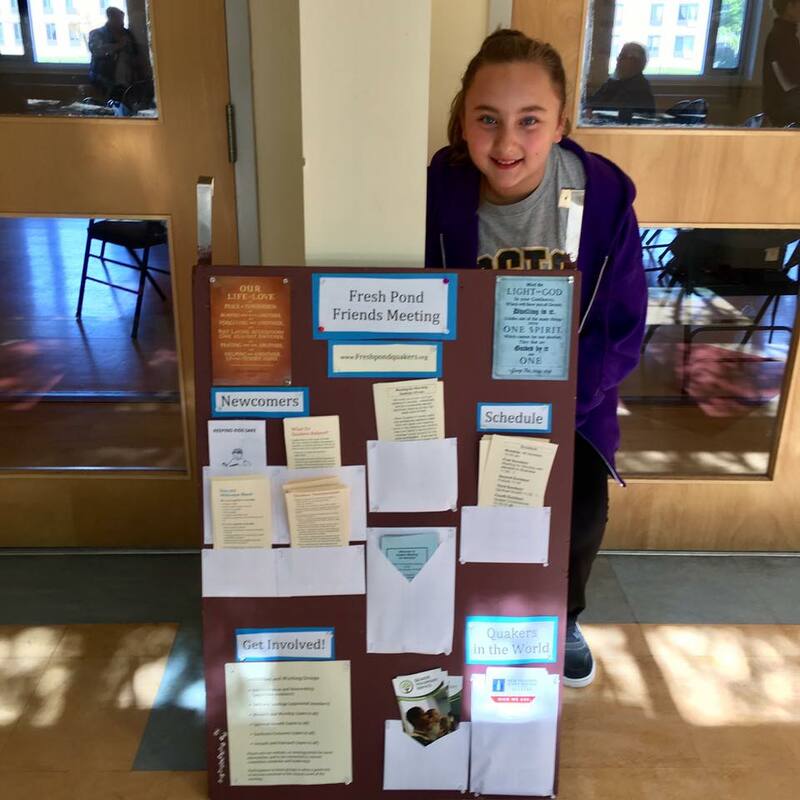 Friends began World Quaker Day in Adult First Day School with a discussion launched from Philadelphia Yearly Meeting’s “Faith and Practice,” advices from 1694-5 that are so timely today! Great conversation among Friends! Two young Friends from Montclair Friends Meeting (Montclair, NJ) at Powell House, a Quaker conference and retreat center of the New York Yearly Meeting in Old Chatham, New York. Newtown Friends Meeting sends greetings and love to Quakers throughout the world! 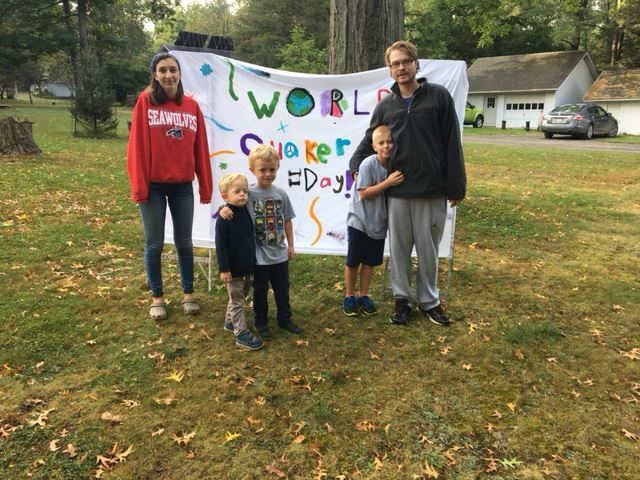 We gathered in worship in our meeting co-founded by Quaker artist Edward Hicks (The Peaceable Kingdom) and assembled afterwards for a photo under a sign made by our children to commemorate World Quaker Day 2017. We then shared the noonday meal together in the Gathering Room as is our custom on the first First Day (“Friendly Firsts”) of each month. We post this photo on our Facebook page and in local newspapers to share our joy with our neighbors and others in the wider community and extend to them a hearty welcome to join us. Newtown Friends celebrations were covered in the local newspaper. 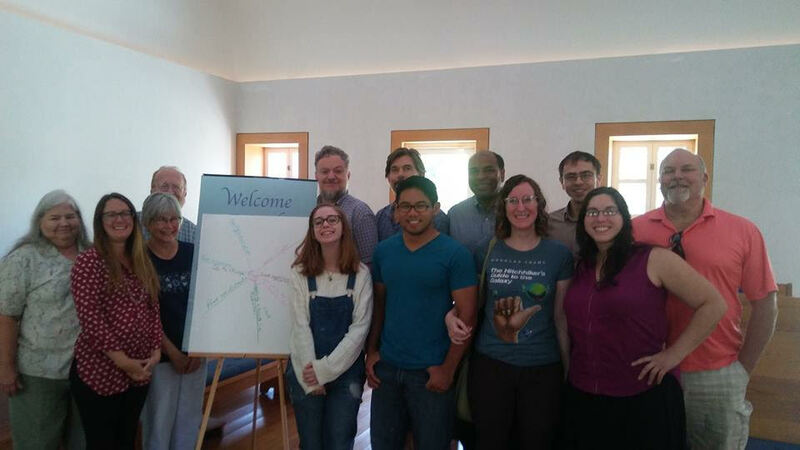 Young Friends Group at Orlando Monthly Meeting in Orlando, FL celebrated World Quaker Day with the help of an orange. Everyone washed their hands, then we segmented the orange into “sections” proportionate to the number of Quakers in the four sections shown on the 2017 World Map for “Finding Quakers Around the World.” Thanks to our orange everyone could easily see how Quakers are currently distributed around the world. 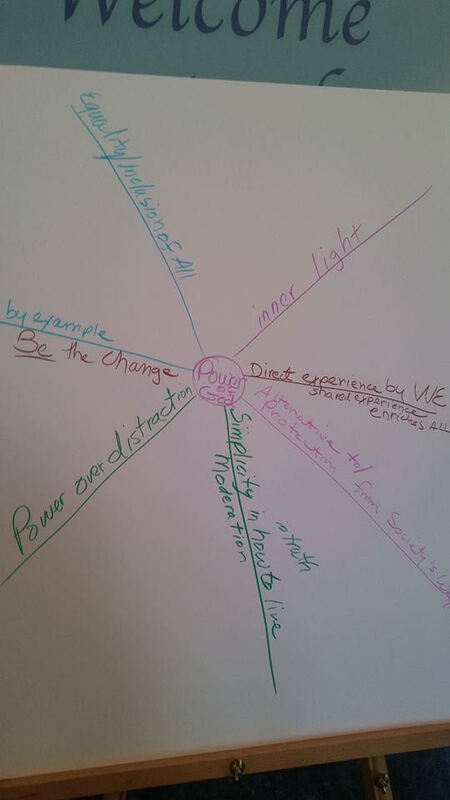 When we had discussed our sections, we reassembled them into “one world” of Quakers as shown in the picture. Then, we enjoyed eating the orange. 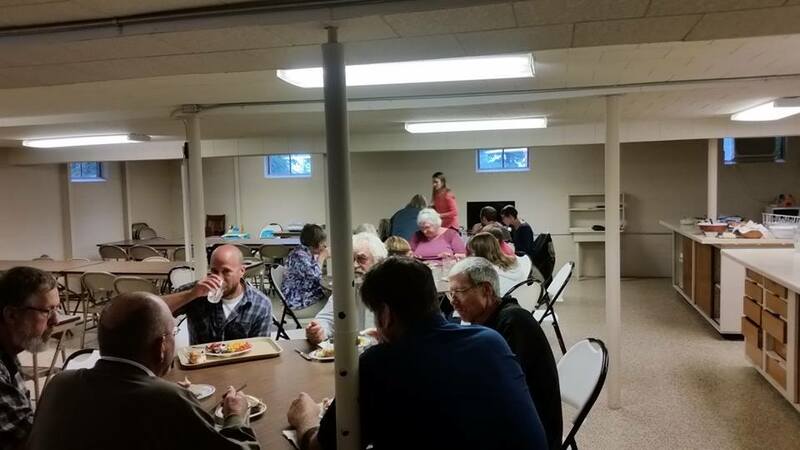 We celebrated World Quaker Day with a potluck meal. We watched the QuakerSpeak video on sustainability. In accordance with the Pisac Peru minute on sustainability, we discussed what we might take on as a collective commitment to action. World Quaker Day at Paullina Friends Meeting in Paullina Iowa had Meeting for Worship, Adult Discussion led by Bridget Durst and Lee Gravel concerning their work with water quality issues in NW Iowa, Youth Sunday School followed by potluck dinner. 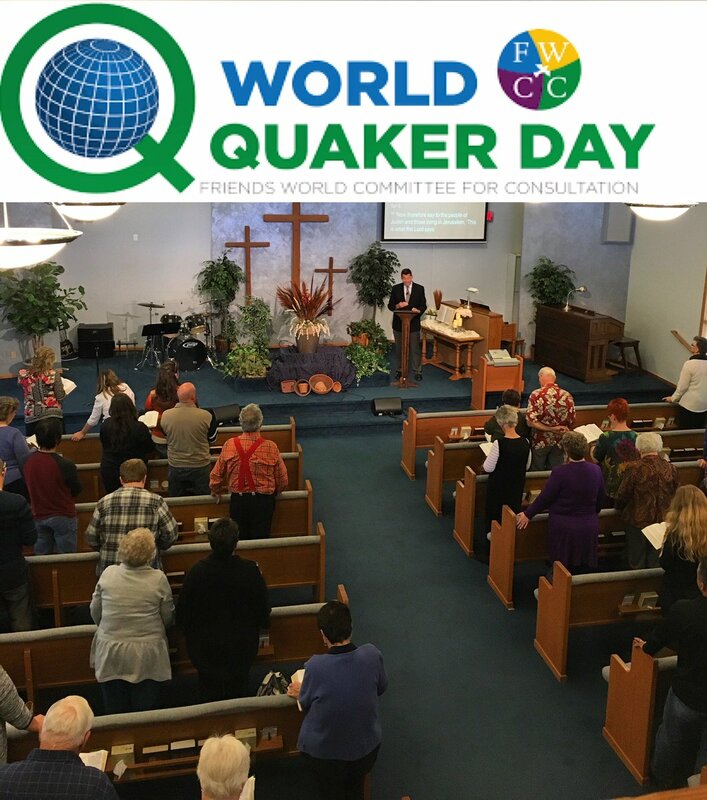 On Sunday, October 1st 2017, the public was invited to join Peterborough Quakers as they participated in World Quaker Day. 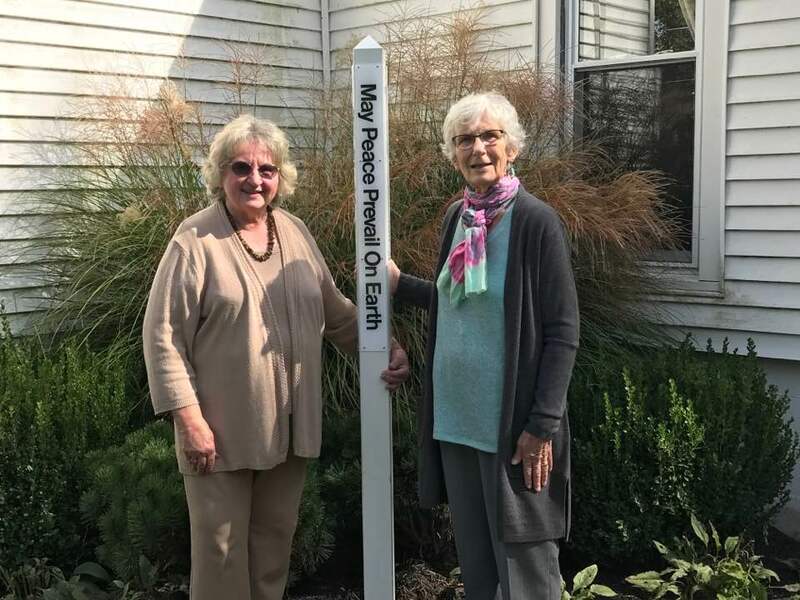 The members of the Peterborough Monthly Meeting of the Religious Society of Friends (Quakers) celebrated this day with a local theme of “How We Value Silence.” The event began at 11:00 at Sadlier House with an hour devoted primarily to silent worship. From 12:30 to 1:00 we enjoyed a potluck lunch. 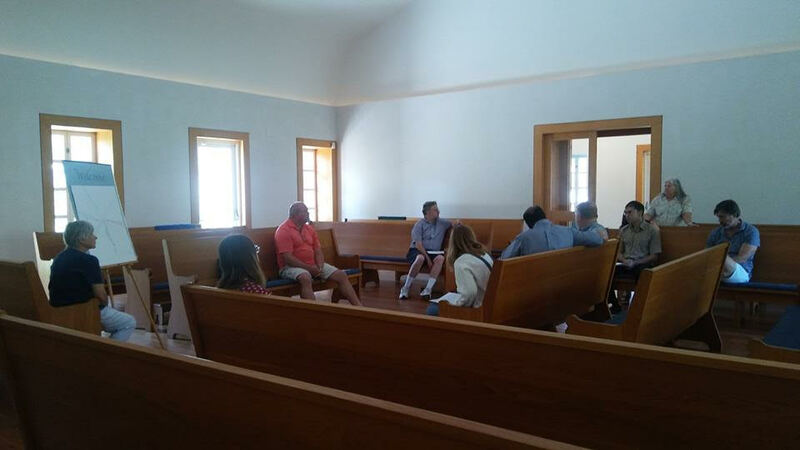 Then from 1:00 to 3:00 we listened to our Quaker historian and guest speaker, Gordon Thompson. Gordon had selected interesting excerpts of original Quaker historical documents for us to take turns reading. 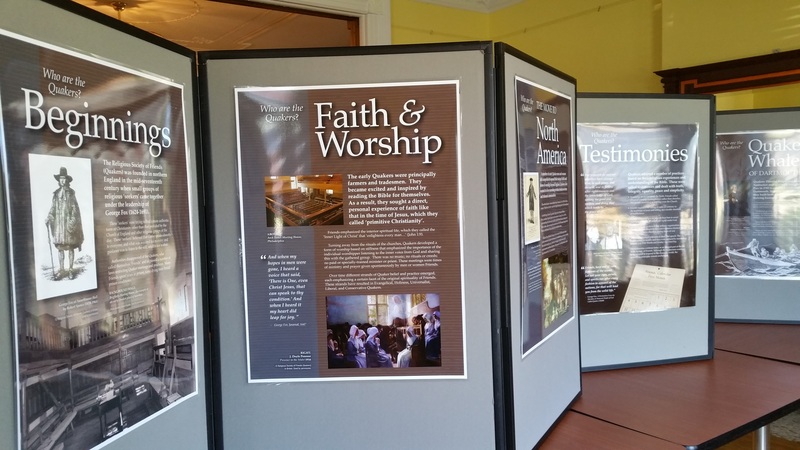 These readings and the context Gordon supplied for each, allowed us to gain some insights into the lives of early Quakers and a better appreciation for their integrity and wisdom. Portland Friends Meeting in Portland Maine sends greetings to Friends around the world. We held you all in the Light in Worship. 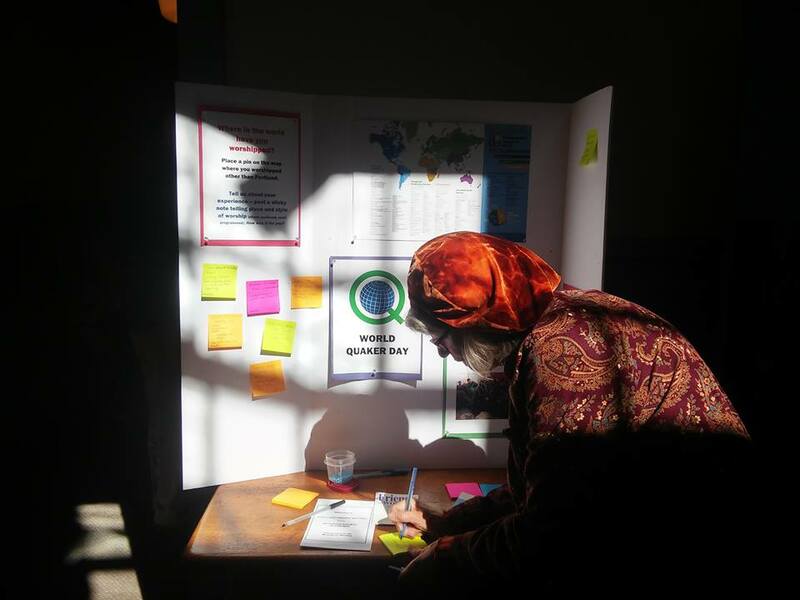 We posted the names of the different meetings where we worshiped this year on a display board in our foyer, watched a Quaker Speak video about FWCC and a few gathered around our WQD banner outside following meeting for worship. 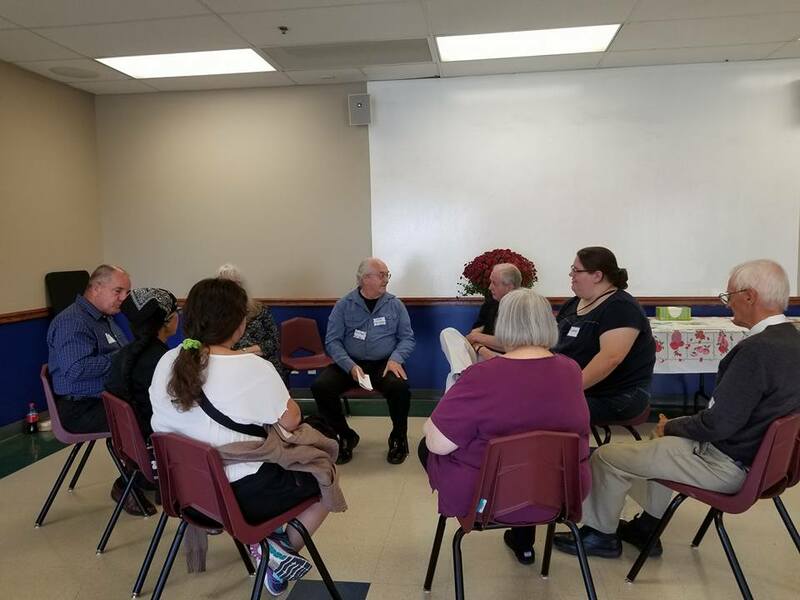 Providence Friends Meeting in Rhode Island hosted a New England Yearly Meeting Young Adult Friends Retreat and welcomed NEYM Secretary, Noah Merrill on World Quaker Day! Attenders to our meeting included two newcomers from China, one a researcher working at the University of Rhode Island, and a graduate student from Japan studying at nearby Brown University. 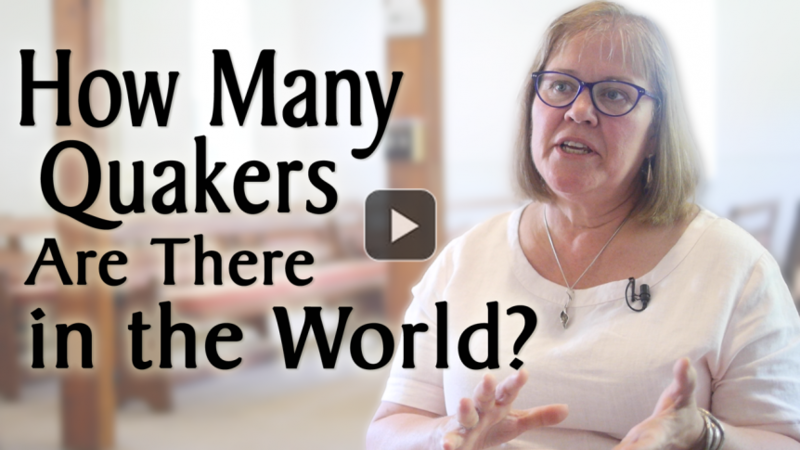 Messages in meeting brought us into greater awareness of the waiting worship that circles the globe every first day, but also reminded us that although as Quakers we share much, there are significant differences among us. Afterward, we enjoyed a hearty potluck of international foods. 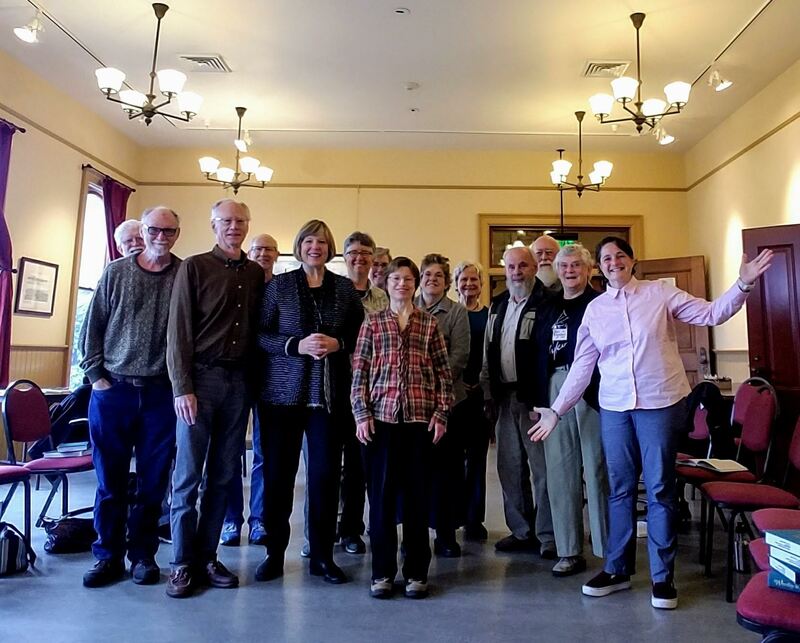 Providence Friends Meeting stands together in the light with Quakers everywhere! 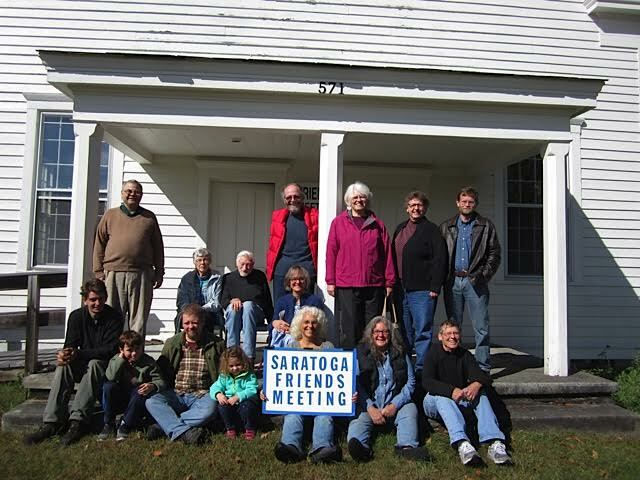 Greetings from Saratoga Friends Meeting, Stillwater NY. 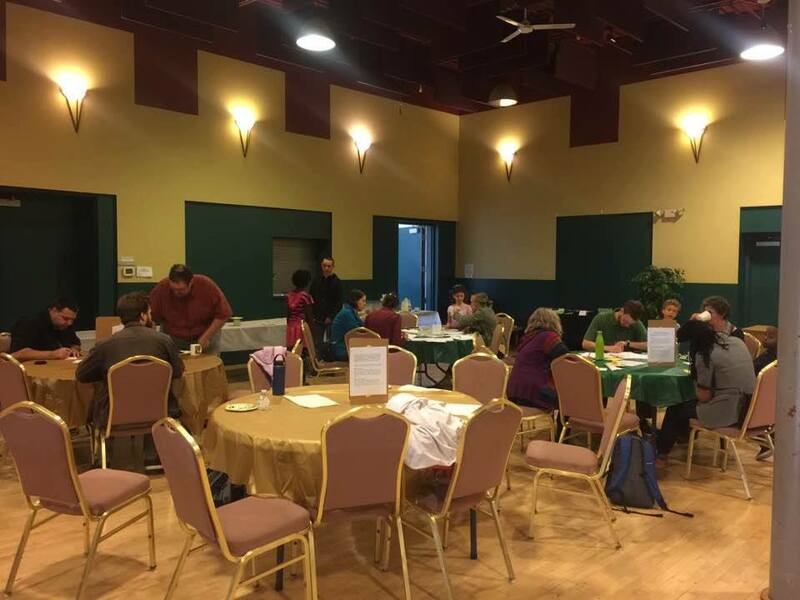 South Bend Friends writing postcards to decision makers about protecting water, the environment, and other things after meeting for worship. The children joined in too. 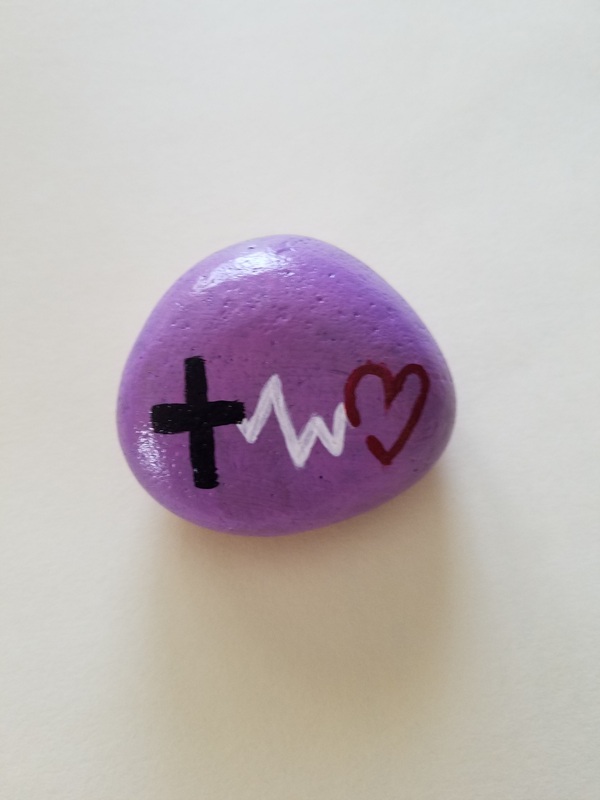 We had a picnic and painting kindness rocks. Our meeting has 6 people and we had 22 people for the event. Great day. 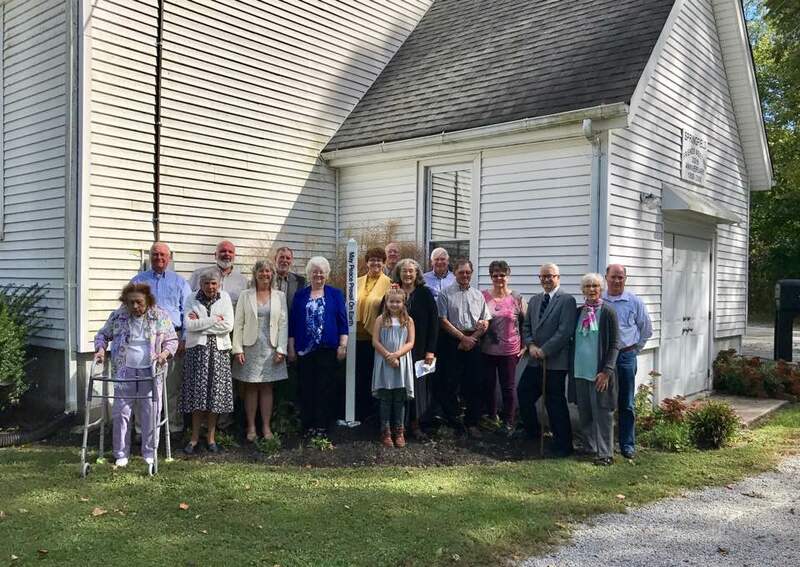 Happy World Quaker Day from Springfield Friends Meeting on Todds Fork Road, west of Wilmington Ohio, founded 1809. 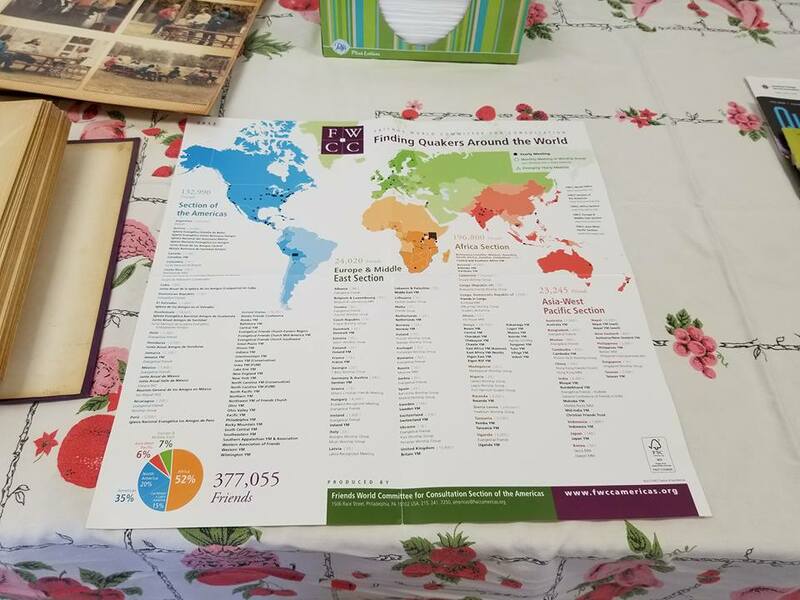 Wellesley Friends Meeting (MA) celebrated World Quaker Day with a presentation at our “All Ages Religious Education” program about the Kakamega Orphans Care Centre in Kakamega, Kenya. Two Wellesley Friends, Martha Schwope and Emily Philbrook gave a moving account of their experiences as volunteers there. They showed photos of children, youth and staff and told us about their relationships and meeting families in the villages. They also attended Friends worship in Kakamega which was filled with movement and joyful singing. This was very different from Wellesley Friends unprogrammed worship from the silence. 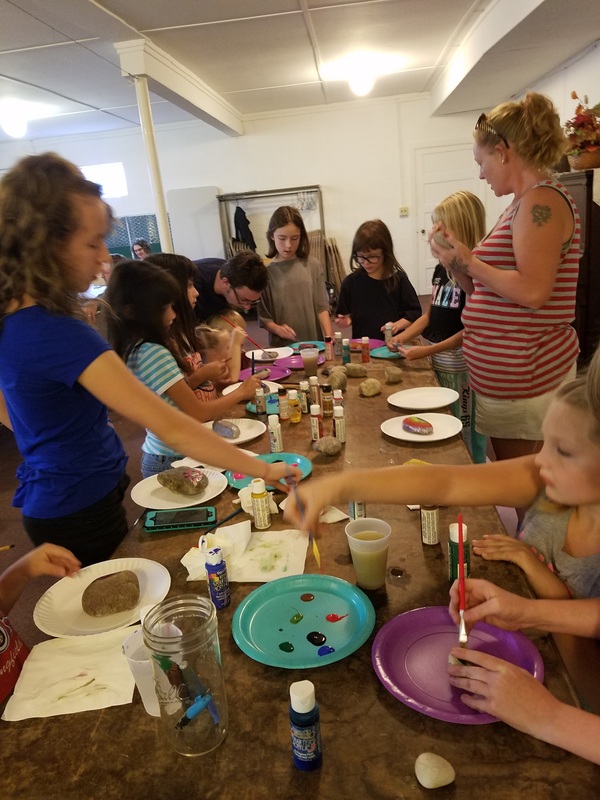 The Kakamega Orphans Care Centre was started by Kenyan Quaker women leaders of USFW (United Society of Friends Women) with support from New England Quaker women from Durham Friends Meeting, ME. Some years ago we had the pleasure of having Dorothy Selebwa, one of the founders of the center visit Wellesley Friends Meeting. 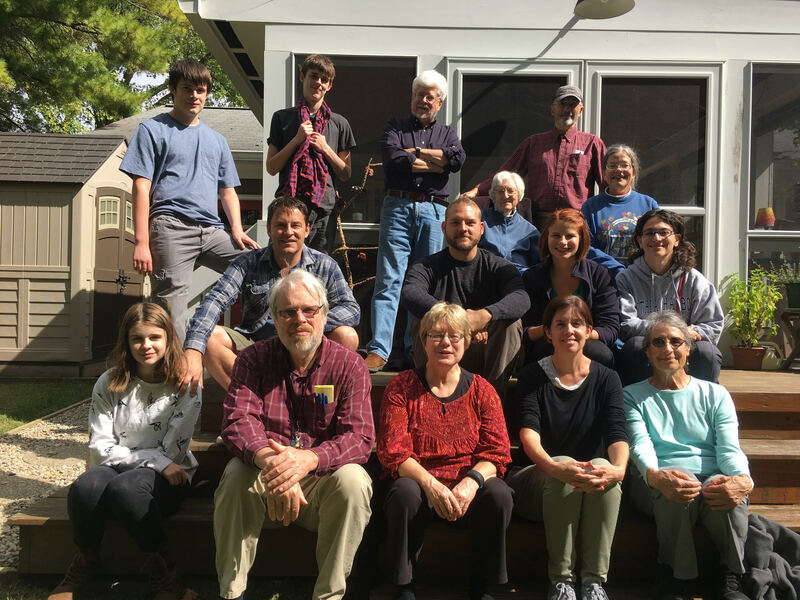 We felt blessed to hear from Martha and Emily about their experiences at the center and are grateful for the opportunity for individuals and the meeting to be supporters of this rich ministry of Kenyan and New England Friends. 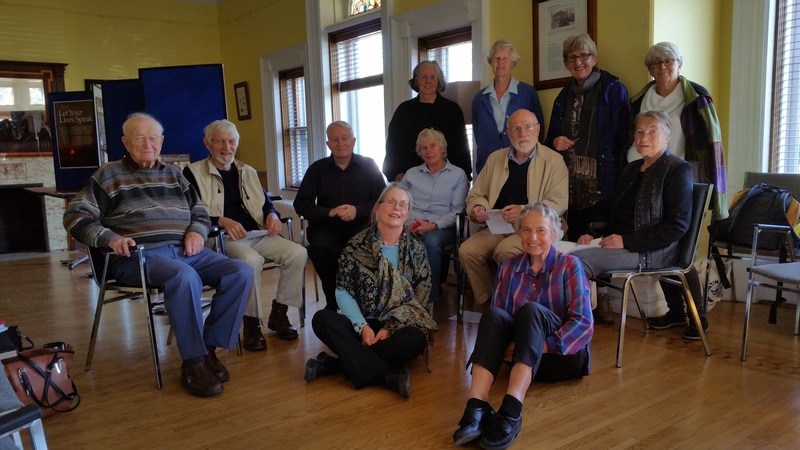 The West Philadelphia Friends Meeting got together for a potluck for World Quaker Day. We talked about our experiences with Quaker meetings and organizations outside the U.S.
Winchester Friends Meeting in Winchester, Indiana celebrates World Quaker Day – In every way possible, Winchester Friends seeks to carry out its calling to make Christ known through meaningful worship, obedient witness, and sacrificial service, welcoming all who are willing into friendship with God and into redemptive community together.